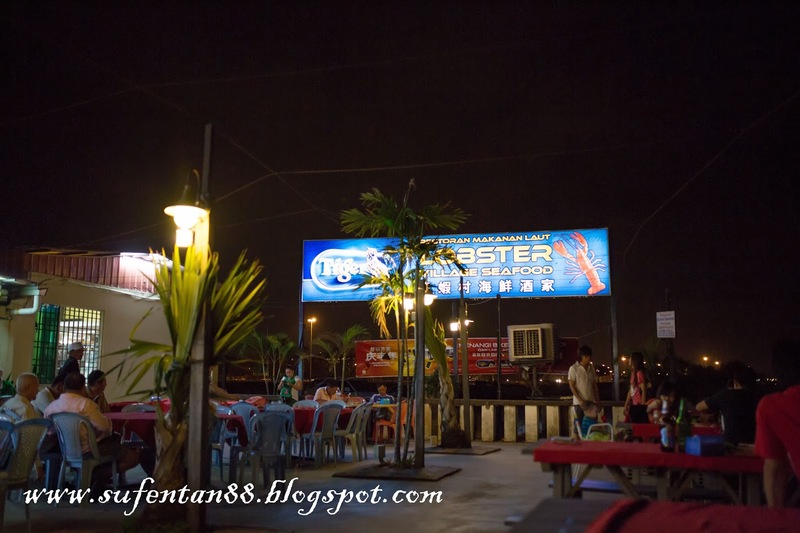 Pantai Bersih recently becoming the preferred place to have seafood compare to Bukit Tambun. 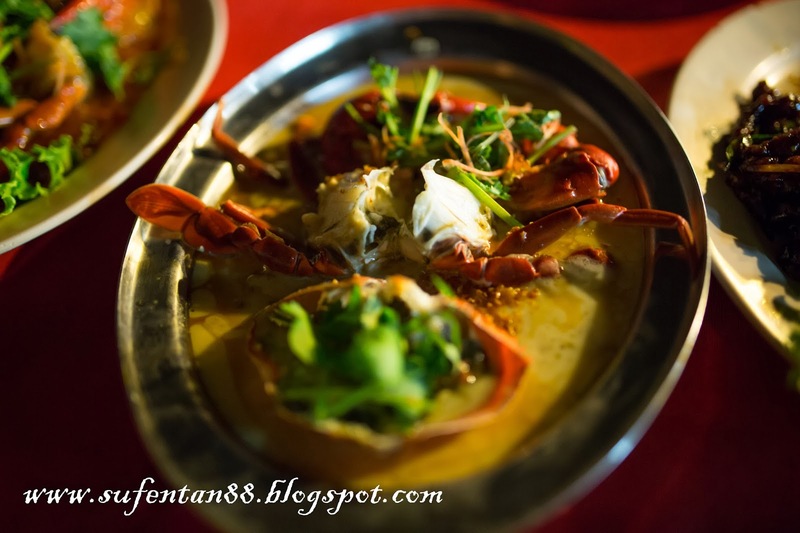 Bukit Tambun "used to be" and still the famous place to have seafood for those who have not discover this place, they have becoming very commercialize, quality of seafood has drop and price also increased dramatically due to over demand. 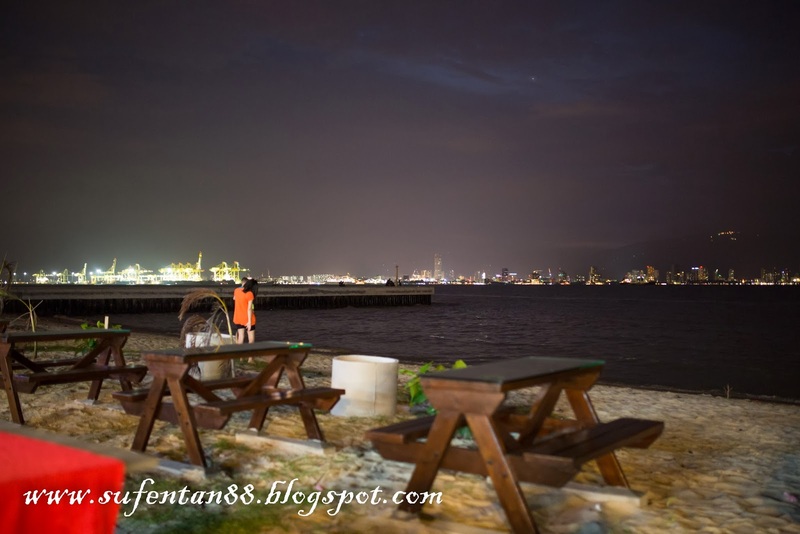 I was introduced by my colleague to this beautiful place where you can eat while enjoy the sea breeze. 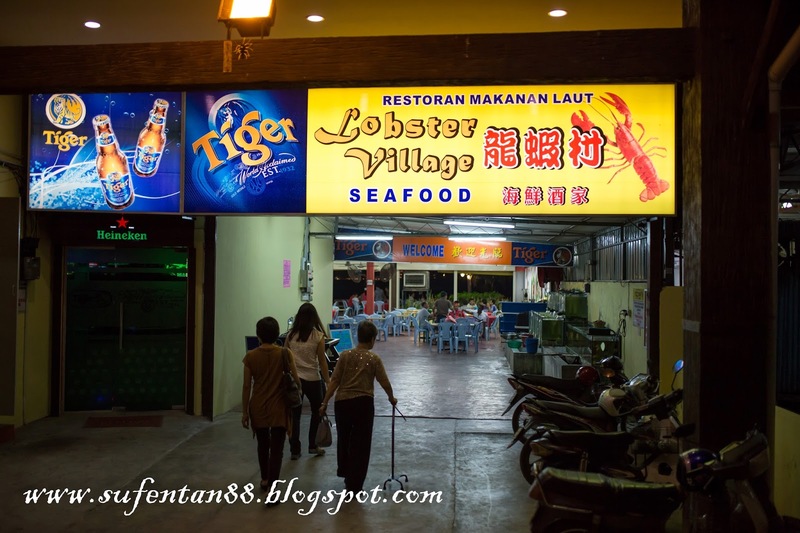 There are a few seafood restaurants along Pantai Bersih, however we choose this place because it is recommended, clean and price is reasonable too. There are parking lots in front of the restaurant which is free of charge but ensure you park at where you want to dine in. All the restaurants have eventually marked their own parking lots with boys guarding it. Just tell them where you want to dine and they will lead you the way. The restaurant designed in a way there are covered and non-covered areas, mostly people will choose to dine on non-covered area which is nearer to the beach. Just check the weather forecast before your visit or your dinner won't be that fun anymore. There are also long garden tables placed along the beach which you can take off your shoes and enjoy the sand while you are eating. I came here twice and I always choose back the same area, I love beach especially it is under the moon rather than the sun. When they served you tea, don't be surprise when they bring you a tea pot, tea cups and a flask. The flask basically is the hot water for your tea. They left the flask there for you to self-service, avoid the hassle of re-filling. Their quite famous dish is the lemon steam Gaba, unfortunately no Gaba for that day. *sad* You must try their Gaba especially lemon steam where only fresh Gaba can be cooked in this style. Super fresh and super no regret! The Tan is nice just a bit spicy on the other hand. Maybe I should try the lemon steam next time since Tan taste around the same as Gaba. 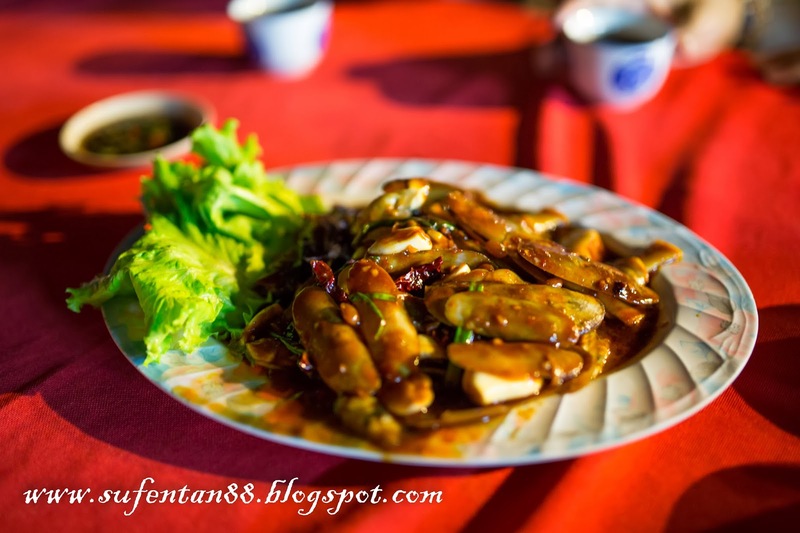 The Tan was indeed fresh with fleshy meat popping around, it is not those "cut throat" restaurant that show you more empty shells than meat. 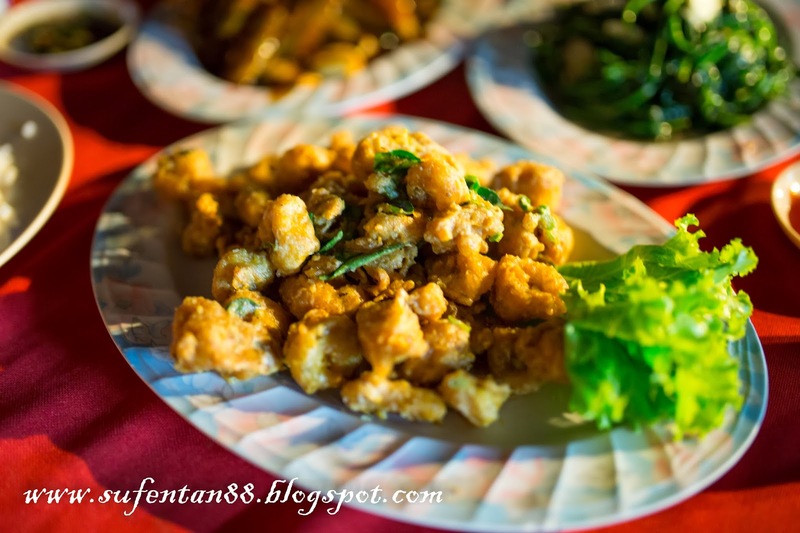 I always love deep fried sotong, but normally frying with salted egg will make the taste sway over to salty but this is not the case. The taste just nice with crispy on the outer and juicy in the inner. We didn't order the spicy belacan style since we have ordered a few spicy dishes. 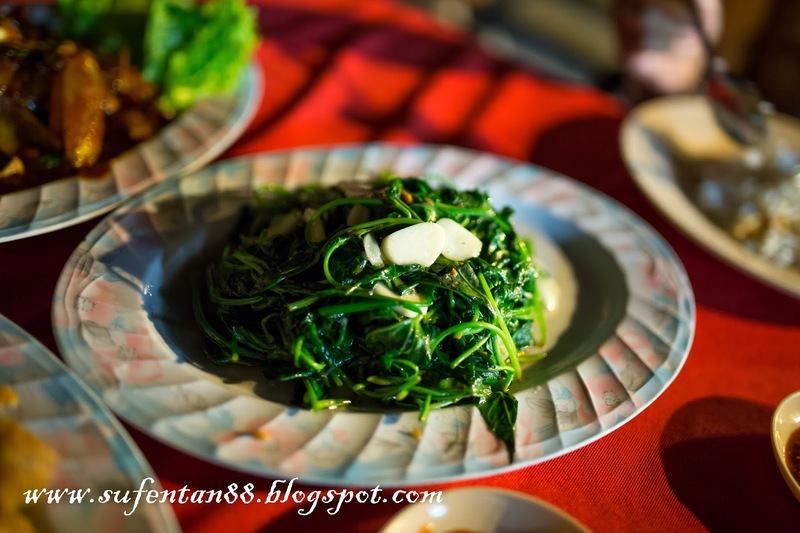 However, the stir fried potato leaf is still good. 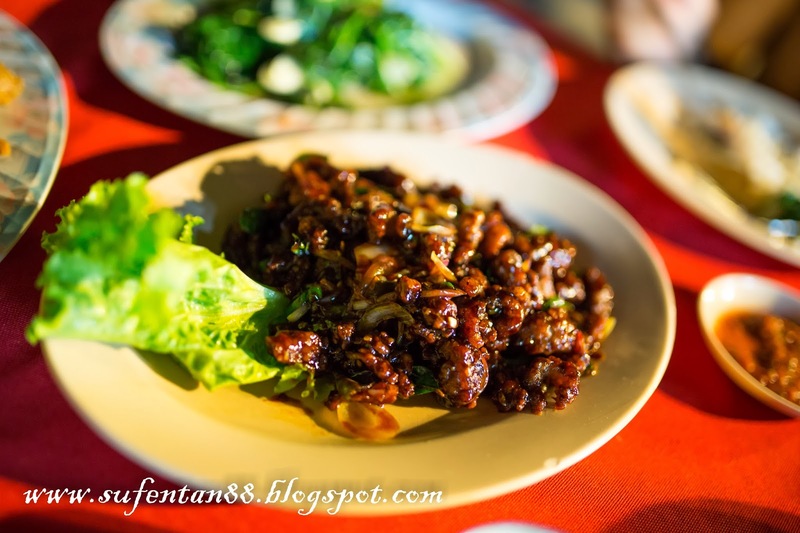 I always like prawn mantis meat to fried with kung po. The taste is just irresistible compare to other style of cooking it. The prawn mantis meat is fresh and they cook it just nice without too hard. As long as the crab is fresh, baked style is always the top of the mind if you wanted to taste the freshness. Only one complaint on the crab-the size. They served medium to small size crab, and they only have male crab. So don't expect to find large crab with egg roll here. The kam heong style doesn't really goes well with the crab. 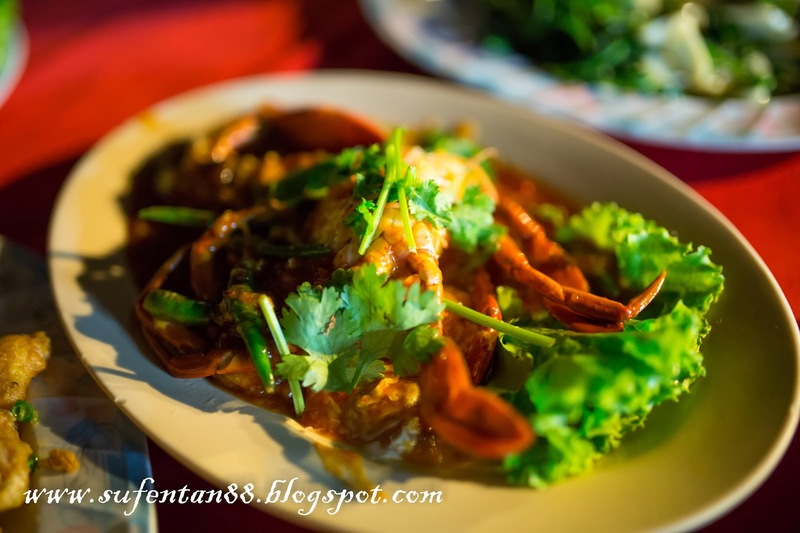 I recommend to try their chilli crab instead which is far more better. Overall seafood is fresh, price is also reasonable, potion is big and the environment is super with the beach just beside you. Eating under the moon, romantic yet fun experience that you can find here. 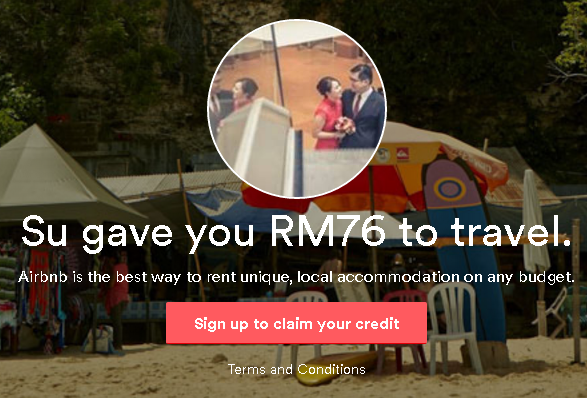 Highly recommended to try out!